We were tossing up between a few different restaurants for our last night in Belfast and CoCo Restaurant won our favour. 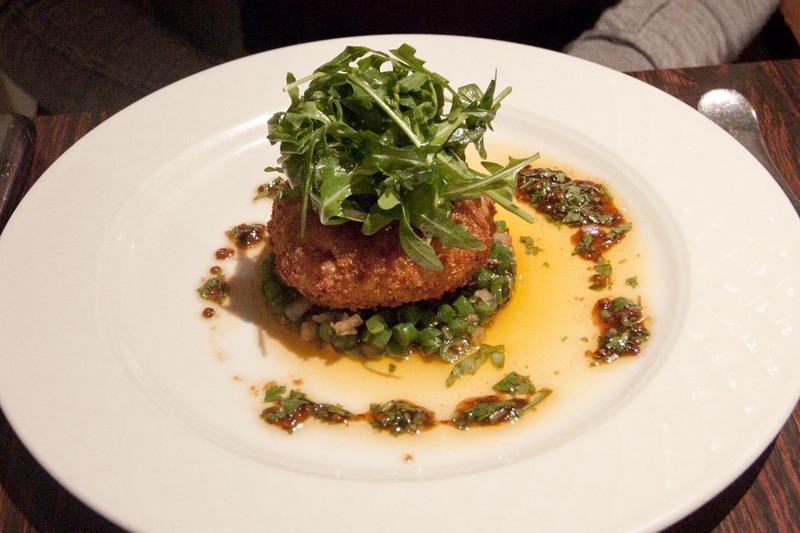 And we were so pleased with our selection, both in venue and menu: Thai crab cake, red onion, green beans, naughty boy dressing; goats cheese fritters, bell pepper essence, wild rocket; sides – cauliflower cheese and mixed green vegetables (finally cooked properly – not mushy!!). Glass of champagne to start followed by a burgundy and finished with some cheeses, including a Camembert calvados cheese. Too, too tasty! The service was relaxed, attentive and friendly. It is a happening place to visit with a front section of lounge chairs for a glass of wine and nibbles, if that’s all you feel like. The curved booths in the dining area were classy and intimate. The whole place had a great vibe – good music (that wasn’t so loud that you couldn’t chat), interesting menu items and lots of customers enjoying themselves. Do yourself a favour and call in here the next time you’re in Belfast.